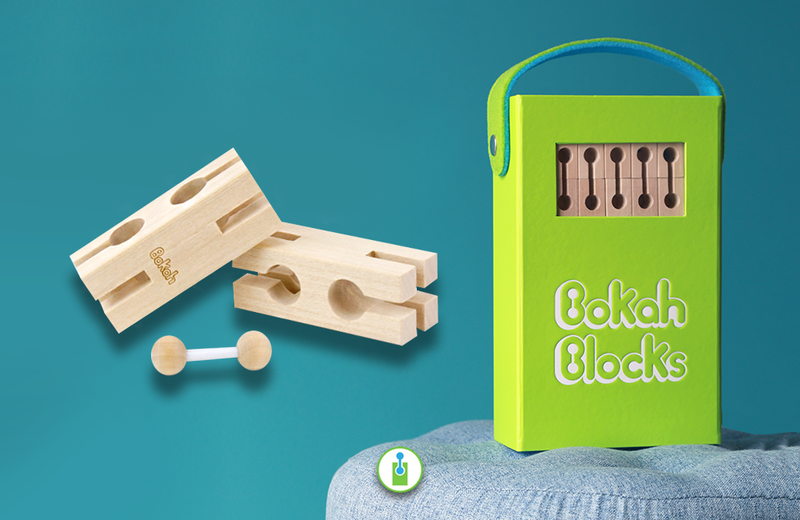 Bokah Blocks are the latest in a long tradition of construction toys. Thanks to a fully-funded Kickstarter campaign, the Santa Ana, California-based company has add flexibility to the standard the skills development advantages of wooden blocks – hand-eye coordination, problem solving, and motor skills. A Bokah block set consists of two parts – the Bokah Block and the Bendy. The blocks are 100% solid basswood in four sizes: Longs, Halfys, Smalls, and Tinys. Bendys are single-size, patented joints that can be stretched, pulled, and twisted. With Bendys, Bokah Blocks can be connected as well as stacked. This new dimension opens a wealth of creative options for children, who can add moving parts to their creations. The company has posted a series of online videos on its website to illustrate some impressive builds that can be achieved with the toy. Supporters of the Kickstarter campaign who pledge support of $30 USD or more will receive an Explorer Set of 40 Bokah blocks and 25 Bendys. An online store also offers a 219-piece Ultimate Backpack Set and a 60-piece Bendy pack at $149 and $29 respectively. A discount is also available for qualifying educational institutions. For novice players of Dungeons & Dragons - the ubiquitous fantasy table-top role-playing game - new illustrated guidebooks provide a gateway into the game experience.